Success is something that is defined differently for many folks. In photography, success for some can be just getting a sharp image your first time out, or perhaps if you are more experienced, it might be selling a print or having one of your images published. Personally, success for me is when I look at my images from the past and compare to images I am shooting currently and see progress. What do I mean by progress? Is the image sharp? Did I use the light in the best possible way to compliment the subject? Did the pictures that I captured tell the subjects story? Has my post-processing improved? All of these are items that I want to see improvement in when reviewing images. I enjoy talking to fellow photographers and those that are beginners often will say “I want my photos to look like (insert favorite photographer here) and then I know I have made it“. I think striving to have photos look like professionals is a fine, but the having made it always makes me giggle. Photography is a process and a journey. I am firm believer that you can have success in this industry, but having the drive and fortitude to keep going to me means that you need to keep learning, pushing yourself, refining your craft and never being satisfied with the status quo. If being satisfied happens, in my humble opinion, it seems the drive to succeed gets lost and your photography can suffer as a result. One of my photographic passions is aviation photography. I consume just about anything related to that field, books, tutorials and workshops for pros to better my technique. One of my favorite photographers is Moose Peterson. He has been doing photography for 40 years and is one of the most gifted photographers I have seen in his abilities to use light. I highly recommend his blog for a resource if you are serious about learning the craft of photography. Relating that to my topic of success, he is an aviation photographer. 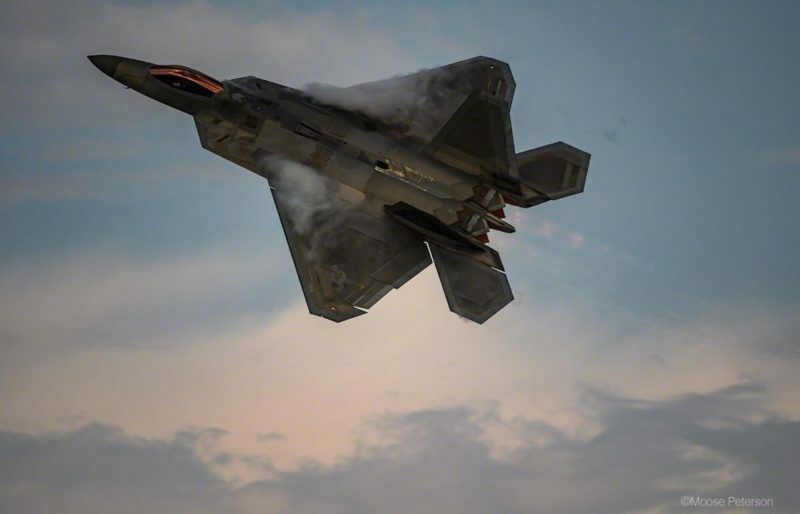 He recently photographed this F-22 Raptor. 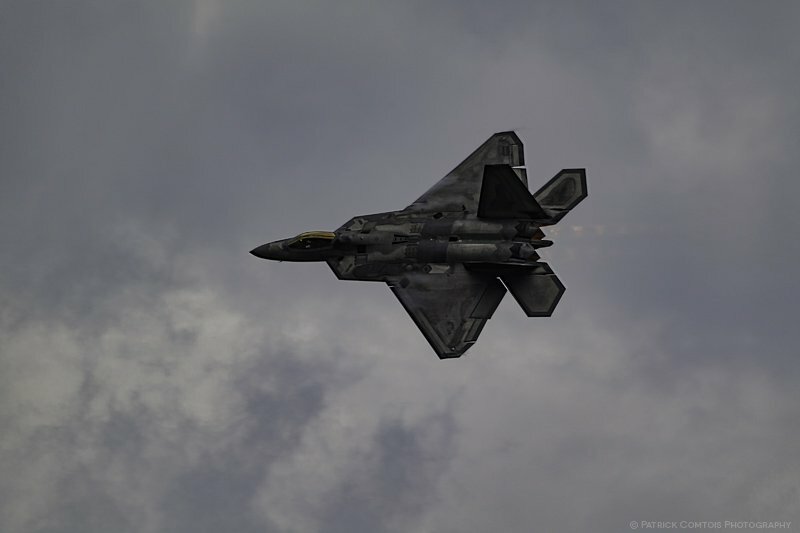 While at an airshow I also shot a picture of the F-22 raptor. This got me to thinking about my measure of success when looking at his image versus mine. My measure of success is not “Oh look, I have a picture similar to Moose Peterson”. Rather, did I use light as well as he did? Did I capture the story of aircraft in that one click? How is my hand-holding and panning technique compared to his? What could I have done better? These are things that I can always improve upon. Is it a nice picture, sure. Is there room for improvement, you betcha! Asking myself these questions about my images is what keeps me in pursuit of my measure of success.